Savi Horne, director of the Land Loss Prevention Project, says equality begins with access to land. The food justice movement is one of the most promising political developments of the last generation. 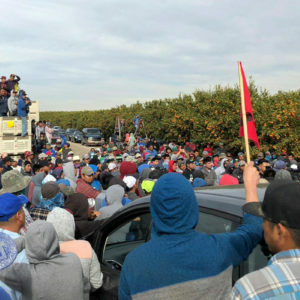 It has broadened and deepened environmentalism by knitting together concerns about economic inequality, labor rights, environmental health, and sustainable agriculture. 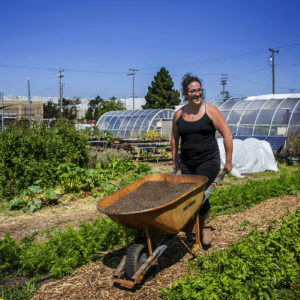 But what often goes unmentioned in discussions of food justice is that it all begins with the land—who owns it, how they own it, and how it gets passed down from one generation to the next. This is something Savi Horne never forgets: food justice requires land justice. 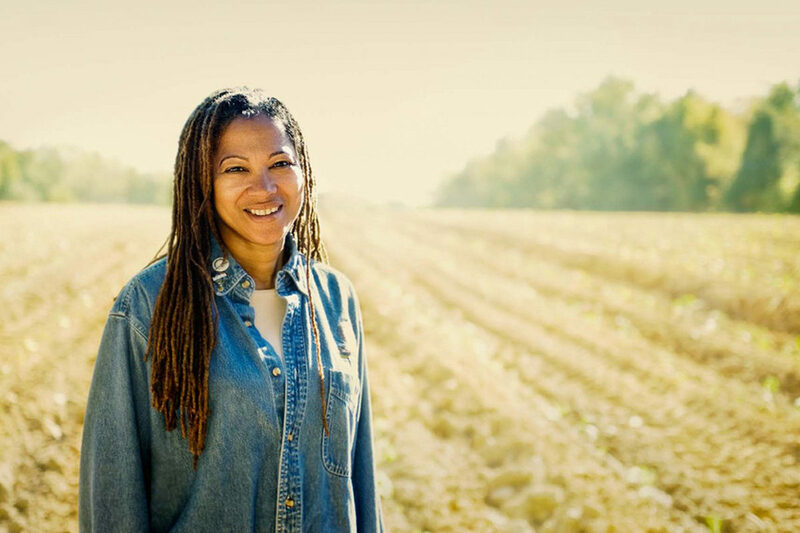 As executive director of the Land Loss Prevention Project, Horne helps use the power of the law to keep African Americans farmers in North Carolina from losing their land to indebtedness, legal challenges, and gentrification, while offering technical support for farmers to make their enterprises economically viable and environmentally sustainable. Monica White spoke with Horne during the Tales from Planet Earth film festival in Madison, Wisconsin. This interview originally appeared in Edge Effects, which has also posted a full audio recording of this conversation available for streaming or download. How did you come to fight on behalf of Black farmers? I came to this work from a union perspective. I went to Rutgers Law School and worked for District Council 37 and, through marriage, found my way south. I had been in Zimbabwe for a year prior to coming to North Carolina, working with one of the most prominent African American NGOs in southern Africa, Africare. There I became interested in what it meant to be a smallholder farmer on land that is contested. At the time, 94 percent of all the arable land and 97 percent of the water rights in Zimbabwe were owned by the minority whites. Once back in the American South, I grew my knowledge of black farmers, discrimination, and dispossession, as written about by Pete Daniel. 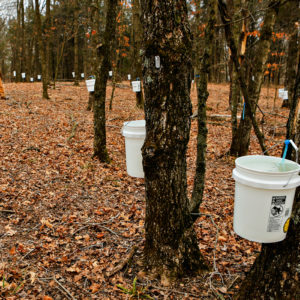 Can you tell us about the history of the Land Loss Prevention Project? What have been some of your successes and struggles? It was founded more than 34 years ago by the North Carolina Association of Black Lawyers. They wanted to figure out the best way to stem African American land loss. And they used as models the Federation of Southern Cooperatives and the Emergency Land Fund, both movements grounded in the rural South and coming out of the Civil Rights movement. From these examples, they began to see the need for legal strategies and community economic development. But in so doing, they couldn’t avoid looking at the other issues in the African American community, like stemming environmental injustice. As you lose land, you never know what is going to occupy that space. While we didn’t have the term then, it’s really about land justice, and our collective responsibility to people and the environment. You and I have a shared shero, Shirley Sherrod. Who is she to you, and what does she mean to the movement? She reimagined her life, working to found New Communities, one of the first African American land trusts in the United States. But then she suffered the loss of that 5,000-acre farm and community and vision. Everything was in that land. It was the second tragedy in her life. Then there was a third. She ascended to the position of the Georgia State Director of Rural Development within the USDA, the very agency that would have denied her family’s livelihood in the past. But racist machinations drove her out of her post, and very powerful people who should know better failed to come to her defense. But she has come away from that and rededicated herself to rebuilding New Communities, which now consists of 1,600 collectively owned acres. 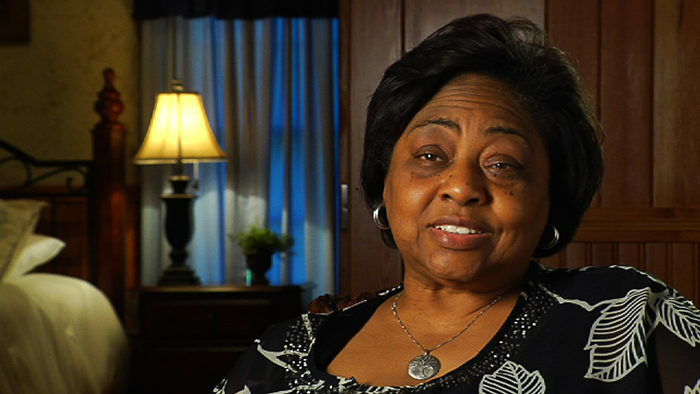 There are so many ways you can look at Shirley Sherrod who is a shero in so many different ways. She becomes a lodestone that you go back to again and again for subsistence and succor. I recall the Bible saying: if the salt has lost its savor, where should it be seasoned? If we were to have not had a Shirley Sherrod, where would we get the seasoning we need to make our work of use to our communities? That’s beautiful. You and I met at a food justice policy conference through the Institute for Agriculture and Trade Policy. Could you tell us the importance of policy in negotiating land for under-resourced, overlooked farmers? The basis of western land ownership is a body of rights enshrined in law, and policy is a handmaiden of law. In order to break down the barriers to reform, we need new policy frameworks coupled with a reorientation of the law. We’ve seen that time and time again in the farm bill that determines agriculture in our country. Organizations such as the Federation of Southern Cooperatives, the Rural Coalition, the National Family Farm Coalition, Land Loss, and others came together, put together position papers, and helped fashion the legislation creating the USDA’s 2501 Program, offering a framework for dealing with minority farmers. And something similar happened during the 1980s Farm Crisis, when a set of policy recommendations led to the strengthening of the Farm Credit System. Going back to the 1991 People of Color Summit on Environmental Justice, there was an enumeration of a broad framework of policy, which then became part of an executive order that President Clinton signed. The benefit of this type of process is you had an on-the-ground referendum of what needs to be done to combat environmental racism in our community. What is an organization you’re inspired by? The Federation of Southern Cooperatives, which just celebrated its 50th anniversary. 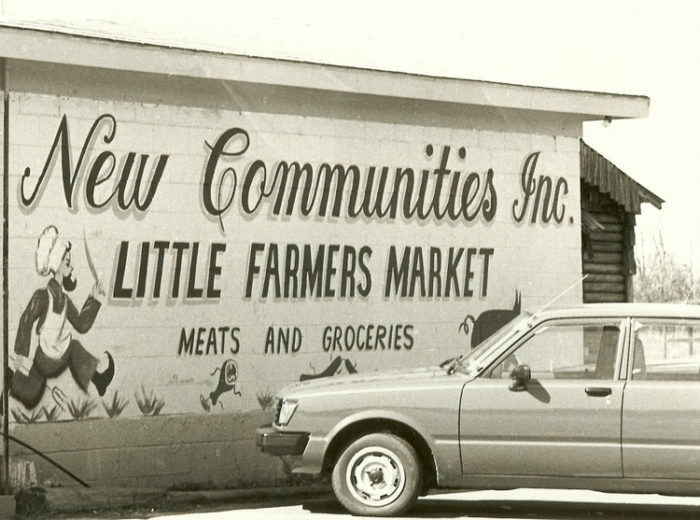 Imagine: an African American institution devoted to community economic development and built in its very beginning more than 120 coops has survived for 50 years and continue to grow. It’s astounding. This model is still important to keeping rural communities vital. And communities everywhere. Look at Detroit where the 2008 recession stripped African Americans of wealth. It allowed the city to get to a place where it has become ripe for the picking for anyone with a little (or a lot) of money. People who are not black are acquiring what was the foundation of the leading black middle class in the country. African Americans cannot afford to participate in the reclaimed “new Detroit” because our economics are still jacked up from 2008. 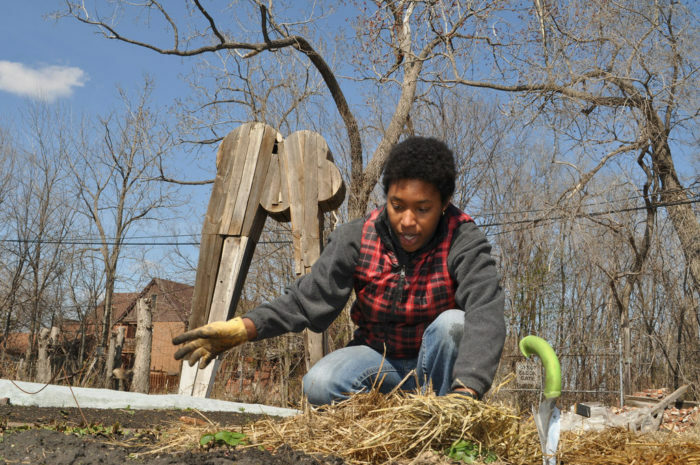 Yet still, organizing around land, community sustainability, and food justice came to the fore and is allowing the Black community to reinvision themselves in the city, to grow food, to sustain themselves. There is now a collectively owned grocery co-op as well as the Detroit Food Justice Network (of which you are a part). We have to all benefit from the land. Maybe the form of ownership we have won’t work for future generations. Maybe the simple, absolute ownership is not the way forward. What land justice issues connect North and South, urban and rural? I look at it through the lens of gentrification. In many respects, if you think back to Hurricane Katrina and the federal Road Home rebuilding program—wow. I thought I had seen the worst of what flooding can do to a people. And then Houston. And the Virgin Islands, and the other islands that came on our radar during the crisis and then disappeared because they don’t have the United States behind them. In all of these places, the way to recover and access federal assistance is to have title—to your land, to your home. What we found in New Orleans was that the lack of title prevented African Americans from participating in federal programs. We now see that will be a problem in Houston, Puerto Rico, and everywhere else. It’s because of how, historically, we’ve viewed land as a collective consciousness. But then when you have to deal with legality and you don’t have papers, you can’t get assistance. The same thing has happened in many urban areas where we’ve lost land to gentrification and redlining. We couldn’t get into banking structures to recondition our homes because a lot of people didn’t have title, because it’s a great-grandma’s house. In your work you discuss collective ownership of land as a legal strategy. 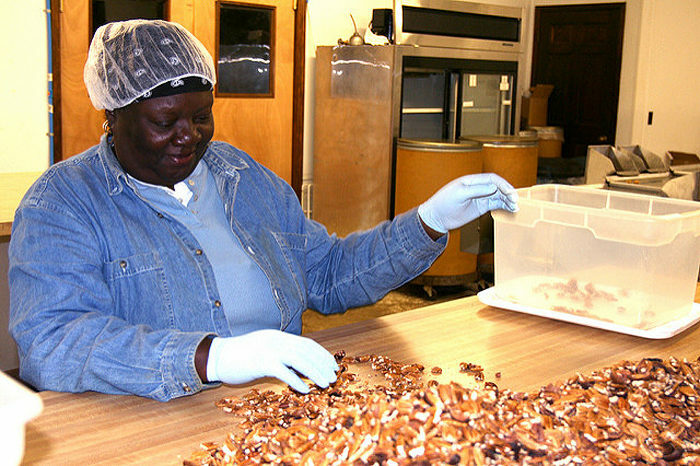 What, more broadly, do cooperatives allow communities to do? Dr. Jessica Gordon Nembhard’s book Collective Courage: A History of African American Cooperative Economic Thought and Practice shows how, historically, cooperatives and mutual aid societies have built wealth within our communities. I have a real, live example from North Carolina of a group of 30-somethings coming together over a period of six to 10 years, saving their money collectively, and planning a collective farm. They named it Earthseed. (I’m thinking Octavia Butler is smiling down on them.) It’s a totally integrated, holistic plan aimed at growing food but also nurturing our souls. Today, they are close to about 60 acres, a stone’s throw away from the center of Durham. That’s still the way we need to look at land. We need to look at cohousing. We need to look at building smaller home structures on land that we have. Going back to the New Communities model, you’ve got to build a complete community. We now know we don’t need a four-bedroom house to sustain us, because we can’t sustain the planet at that growth. So I firmly believe to save ourselves and the planet, there has to be a reorientation of laws to give families the security they need and to be protective of our natural resources. Is there anything about the current food movement that you find especially encouraging? That is a vision that I’m holding, and that is what I see happening in the food movement. I’m encouraged by the future because we’re willing to look at land in a new way. And I’m encouraged by Winona LaDuke, who argues Native Americans need to own their land so that they can reclaim themselves. If we have to do it bit by bit, just like those young people in Durham, we’re willing to. Then we’ll make the country a better place.